On Tuesday June 2, 2015 I revisited Alaminos. The mayor – Aristos – had arranged three interview participants for me. The first was a couple (Aristos’ parents), Despina and Panayiotis. I had met Despina a week earlier, she is such a warm woman who makes you feel instantly comfortable in her presence. Panayiotis initially seemed like the more quiet of the two, but he soon became very vocal and engaged. Panayiotis spoke of his early childhood, when he and his Turkish Cypriots friends would play in the mosque regularly, as it was acceptable for the boys of the village to run amok. Not girls, though – Despina was not allowed to play in the village with her friends when she was young. 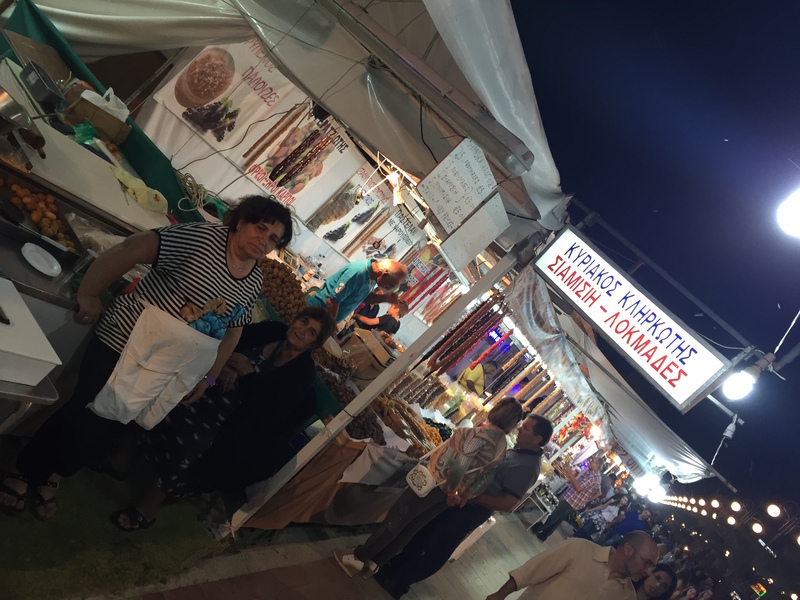 Despina remembers swapping and sharing food with her Turkish Cypriot neighbours – “yoghurt for bread”. She also recalls milk mothers in Alaminos and stated that the two mothers (the actual mother of the child and the milk mother) “became sisters” and that their children “could not marry”. 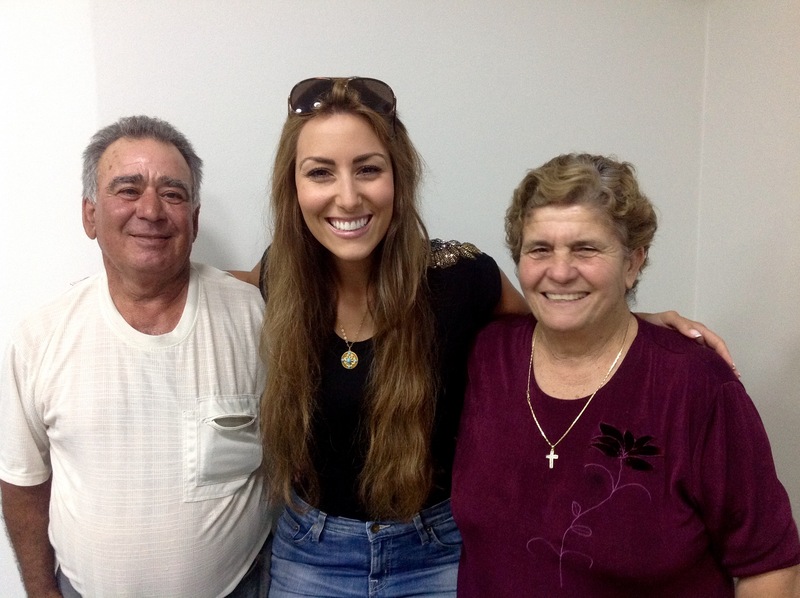 Despina spoke of Maria, a Greek Cypriot woman in the village, who fell in love with a Turkish Cypriot man. She converted to Islam and changed her name to Ayşe. Many of the people I have interviewed recall intermarriages taking place between Christians and Muslims. I have heard of instances of all the possible combinations – a man or a woman, a Christian or a Muslim, converting in order to marry. Panayiotis told me a story of a Turkish Cypriot wedding tradition in Alaminos: All of the young boys of the village, both Greek and Turkish Cypriot, would have a 5 kilometre race to the bride’s house on the day of the wedding. Whoever won the race received a pillow from the bride with a one pound coin hidden inside! The only problem was that there was one boy who was a very fast runner, and he almost always won… Unfortunately, Panayiotis never collected the bride’s pillow. Despina told me that a Turkish Cypriot friend of hers would look after her son when she would work in the fields. Her son, Aristos, who was sitting with us, was very surprised. “Who, me?” We all laughed. 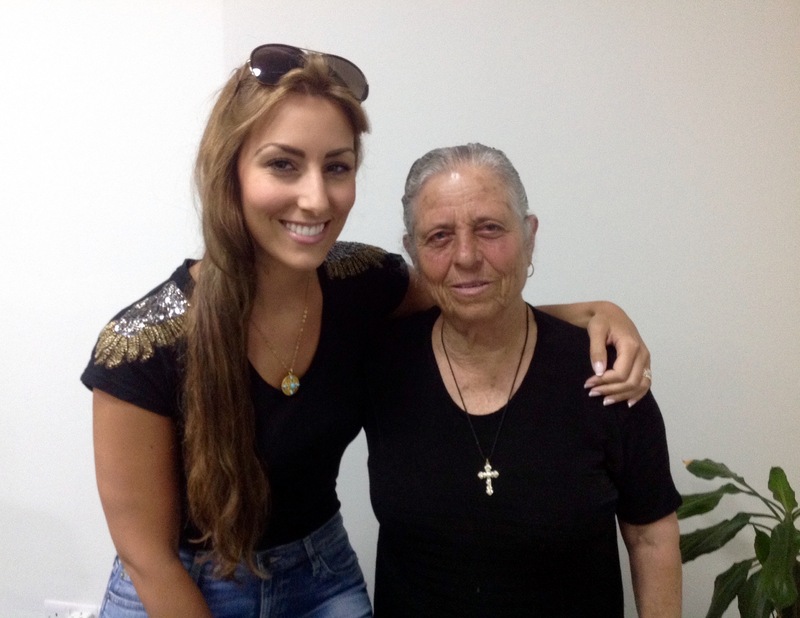 The third interview was with a woman named Kyriacou. She was born in the neighbouring village of Pyrga and moved to Alaminos (her father’s home village) at 15 years of age when she married. She had six daughters and a son. Kyriacou was a serious looking woman with a sharp mind, and was very direct. She spoke both Cypriot Greek and Cypriot Turkish; she learnt Greek in school and Turkish from her friends. She communicated with her Turkish Cypriot friends in both languages. Kyriacou and her husband had several Turkish Cypriot friends who migrated to London before the 1974 war, and who frequently visited them. I was surprised to learn that when these friends visited Alaminos during the 1960s and early 1970s, Kyriacou and her husband protected them from the Turkish military – who had a base just 5 miles out of Alaminos. The Greek Cypriots were protecting the Turkish Cypriots from the Turkish Army! After the island was divided in 1974, these friends still regularly visited their old village and their Greek Cypriot friends – long before 2003 when the borders were opened. 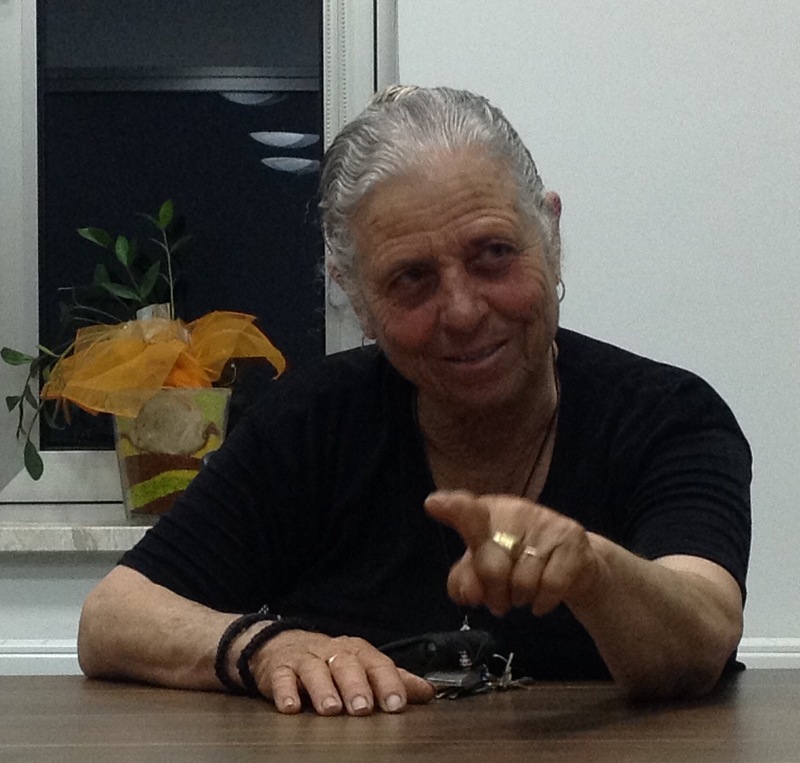 Since the border opened in 2003, Kyriacou and her husband visited many of their Turkish Cypriot friends who were forced to leave Alaminos in 1974 and settled in the village of Kythrea. They too have visited her and her husband many times and they used to see each other about twice a month! Even before 2003, Kyriacou once went illegally across the border through the village of Pyla to visit her Turkish Cypriot friends, and one of her friends came through Pyla in the opposite direction to visit her in Alaminos. That must have been very risky; their friendship bonds must have been very deep. Kyriacou is a strong and brave woman. 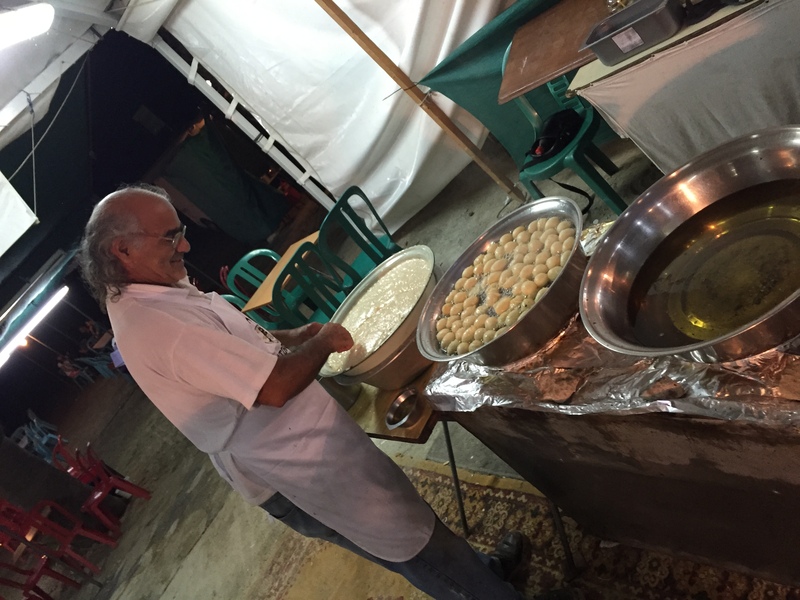 After the interviews we went with our family friend Thanassi to Larnaca to enjoy a traditional Cypriot panayiri, that of Cataclysmos – the celebration of Noah’s flood. Amongst thousand of people, it was there that we bumped into Kyriacou’s son – it’s a small island after all. Such a lovely way to start the day reading your posts! It’s FREEZING here and I’m writing reports and marking exams. You can’t help questioning life choices when you view the stories, lifestyles and magical location that you are recording there! Keep them coming!